Go through tips that will help you get your branding and content on target, and enable your site to become the lead generating machine it should be! Get your branding, content, and lead generation right! Creating great branding, content, and lead generation is no easy task. It’s multilayered and complex. Nevertheless, there are simple things you can do to give yourself as much of an advantage as possible from the get-go. We will cover a good few of #tips that will help you get your #branding and #content on target, and enable your site to become the #lead generating machine it should be! To optimize your content and lead generation, we will also touch upon some basics that should be in everyone’s vocabulary. Like Top, Middle, and Bottom of the Funnel content creation – funneling your visitors through the right channels of content to enable higher conversion. That said, it all starts with a simple foundation of principles: Consistency, clear communication, and a well thought out structure enabling sales through purpose created channels. Today’s technological landscape is continuously changing and evolving, and you can’t avoid having a website. It puts you at a competitive disadvantage that is so easily avoided, as coding and designing expertise is practically unnecessary for a functional and attractive site. So what do you need to do? 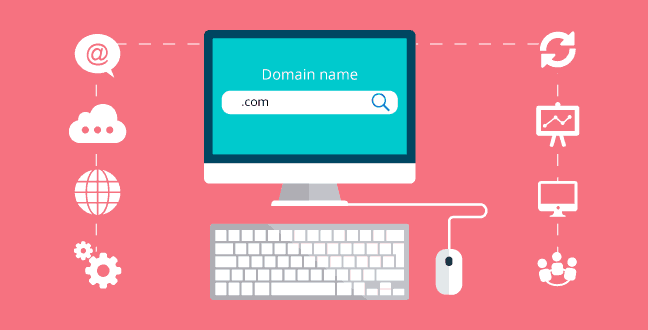 Number one is ensuring your brand is available as a domain name. You can choose among a great variety of domain registrars. From GoDaddy to WhoIs, and many more. It doesn’t matter which you choose, as they often have similar to identical prices. While they offer supplementary services, it is usually better to go for their primary service: registering your domain. If you are among the more than 40 million independents and you’re just about to start off your business, there is one specific aspect you ought to consider. Most, if not all, domain registrars offer a security add-on, to hide your address when you register your site. If you’re in the company of Larry Page and Sergey Brin, and you’re starting your company from home, you might want to use this Privacy setting. However, if you have an office or a storefront, we advise you to avoid using the security add-on. Listing your address provides additional transparency, should your customers or clients be tech savvy enough to look, and can further help your credibility online. It’s a branding starting point, ensuring that you’re consistent and transparent. To save some time, we advise you first to find a hosting provider. Hosting providers often offer access and implementation of a Content Management System(CMS). As there are so many possible hosting providers, from smaller local providers to international companies, we will defer to the reviews and rankings from PCMag. They do an annual ranking or review of the top hosting companies, highlighting what they are particularly suited for. The most common CMS out there is WordPress. No less than 27% of the internet is powered by their CMS. If you don’t have the bandwidth or skill to code and build your site from scratch, WordPress is a great option. There’s also Wix, Drupal, and many other CMS alternatives, but WordPress is by far the most common. They make it incredibly easy for you to structure, organize, and enable you to add elements that help your branding and lead generation easily. To have a consistent brand, you need a website that enables you to do your business without devoting massive amounts of time or energy to the online component. First, you need to make sure that your business’s name is available as a domain. Then, register that domain through a registrar like WhoIs. The next step is to find a hosting provider that meets your needs and will easily allow you to upgrade as your needs grow over time, such as SiteGround. At the end of your setup phase, implement your CMS so that you can easily update and maintain your site. Now you are ready to embark on establishing your brand and tap into the massive opportunities offered online. Now that your company has a solid foundation based on transparency and recognizability, you need to make sure that your website can work for you. While we’ve listed these by priority, all the following steps will overlap and should be done practically simultaneously. Set up an under construction page from day zero! A great way to capitalize on others’ interest in your company is to set up a well crafted “under construction” page. This will allow you to work on the site in the background, while still enabling those curious about your business to leave their email and receive updates. This is the first step in lead generation. If you’re using WordPress, a brilliant plugin you can implement is the aptly named “Under Construction” plugin by Web factory Ltd. It will allow you to create your first Top of the Funnel content: an optimized and customizable maintenance page that will allow you to convert on the outreach buzz you’re creating by gathering subscribers from day 0! First off, you will want to build some buzz around your company, brand, and products as soon as your under construction page is up. Due to his high profile in the SEO community, Rand Fishkin has been able to generate an amazing amount of buzz for his new venture, SparkToro. While not all of us have the star power that Rand boasts after years of top-notch contribution to his industry, he still gives some fantastic pointers on how to build buzz for your product and company. I can’t possibly do his Product Launch Checklist article justice here, so please check out his article for yourself. Essentially, you need to make lists of specific influential people in your industry and possible publications that will have an inherent interest in your product and business. Then establish an outreach plan to engage these individuals, so they may carry the torch for you going forward. As you’ve already implemented a brand-centric under construction page, you will have established credibility before your buzz building. In turn, once people and publications start mentioning you, and you start receiving visitors, they can easily convert to subscribers – eagerly anticipating your final launch date! While the under construction page is up, you should visualize a clear structure for your website before you start publishing pages. This way you can plan a hierarchy that helps your SEO. You can also ensure that the hierarchy you develop is based on your products, services, or FAQs. At this stage, you can also implement the practical execution of Middle of the Funnel and Bottom of the Funnel content pages. Now you’re ready to start creating pages and uploading content. Once your structure is clear, and the pages are created, you should enable clear tracking of goals throughout your site. As you have now established a “cart page,” “Thank you” pages for different services, and the infrastructure to easily track conversions and goals, we turn our attention to Google Analytics (GA). You now need to use GA to implement goal track clearly. While you can track goals in 4 primary ways through GA, URLs, Time, Pages/visits, and events, we will focus on URL goals. If you’ve implemented a URL Goal, this will register every time someone visits that URL. This is why specific thank you pages per product can be quite useful when you have only a few services. If you have PDFs or Confirmation pages, these are also useful for triggering a URL goal. For these you can ascribe a specific value to the URL, giving you a clear analytic overview of conversion rate, value, and execution. While it’s possible to implement a certain funnel through GA, it might be easier to look at the Visitor Flow. 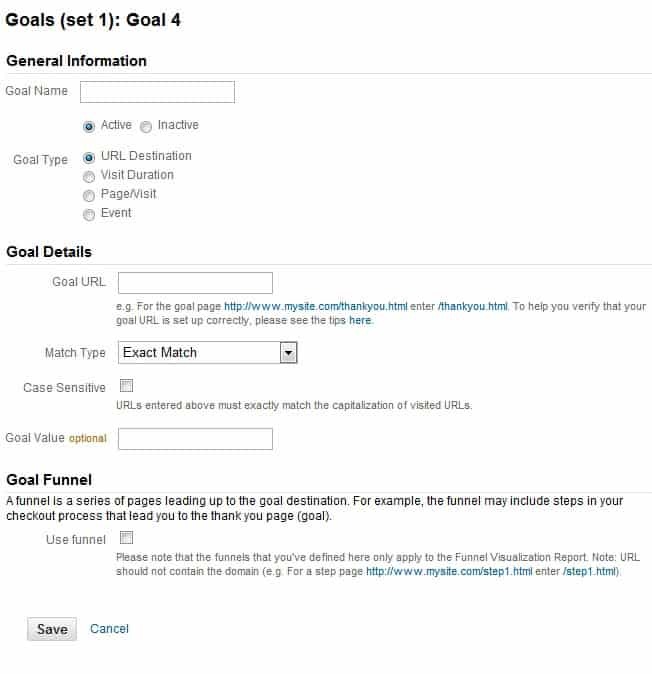 For a more in-depth article on goal tracking through GA, we suggest checking out KissMetrics’ article on the subject. Graphic content and videos are excellent ways to make your brand ubiquitous. We highly advise that you use graphic and video content to disseminate your messaging across social platforms, linking back to your site, as it can help generate traffic to your site. Videos have especially been propagated of late, and the stats back up the hype, especially on Social Media. For example, on Facebook videos outperform images by 132 percent! 90% of users say that product videos help their purchase decision making. Images and graphics are essential for your branding. For many startups, thinking about creating content can be daunting. Not everyone has the ability or time to learn how to do it. Luckily, the recent economic trends have made the talent pool for these professionals much more accessible. While you can certainly outsource these critical branding elements to companies, services like Fiverr and UpWork have pioneered the freelance economy. As long as you’ve got the broad strokes of how you wish your brand to appear aesthetically, you can easily access a massive pool of talented professionals. To learn more about the companies, we recommend reading this thorough review of UpWork. Ensuring that your static content is uniform will help solidify your brand recognition over time. Furthermore, content should be highly shareable, allowing you to reach a wider audience. It also promotes consistency and is a great means of generating cross-platform brand recognition, which in turn leads to traffic and customers. This consistency will help grow your credibility, which will translate to establishing trust – the bedrock of e-commerce! Strategy, Content Creation, and Top of the Funnel Lead Gen.
Now your site is starting off well, with established goals and ways to track and analyze it. The next steps are content strategy and creation to garner traffic while simultaneously aiding your lead generation. This segment is focused on creating content that garners interest, visitors, and attention. In other words – this is your Top of the Funnel content. Consistency is a recurring theme, and it’s crucial in your content creation as well. In order for you to address this, we highly advise you create a content calendar for your business. This can be as far reaching as your ideation allows! However, keep in mind that there might be developments down the line that you ought to cover. Therefore you should give most of your evergreen content flexible publication dates. To ensure that you get a highly targeted content calendar, you really should dig into the less exciting, but crucial, task of keyword research. Figure out what you want to cover, identify your target keywords over an extended period, and let the ideation flow! This way you will avoid creative dry spells favor your productive determination. Blogging is a great way to gain traction online. It allows you to be ultra-specific in your content creation, and fully engage your Top of the Funnel strategies of creating awareness and interest. However, many do fall prey to the allure of simply pumping out content without a purpose in mind. This is suboptimal, yet might accidentally give you some results. 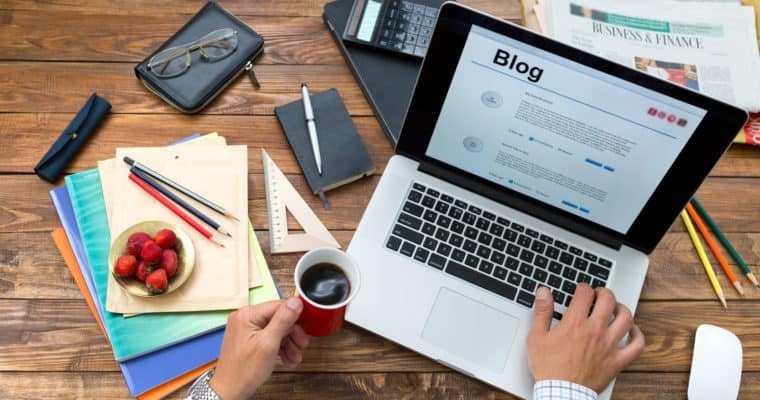 What you ought to do is make clear that your blog is for Top of the Funnel content pieces, and should therefore not be detailed service descriptions, or too self-promotional. It should be interesting, revealing, and provide insight and value. It will demonstrate on its own accord that you are a valuable product or service provider in your field. After all, “delivering the right information to your prospects at exactly the right point in the customer journey” is what it’s all about. Focus on giving your customers the information they need. Don’t focus on giving yourself pats on the back, or simply brag about how great you are. If you continuously have to say you are the best at something, you probably aren’t. Keep it simple and useful, and the content will function the way it’s intended. Half the battle is identifying your content’s specific purpose. The other is keeping the content production up over time. For traditionally brick-and-mortar, this can be a challenge. However, it is an opportunity you should take advantage of. To outsource content to an SEO company can help your online lead generation over time. While this article only scratches the surface, it does give you some excellent ideas as to how to get your branding, content, and lead generation on point. Throughout this process, you need to maintain a bird’s eye view of your branding. By maintaining this chief perspective, you can make sure the branding is on point throughout. This will allow you to start generating brand recognition through excellent content. When it comes to e-commerce, there is no greater ally than trust, although the process of creating it is a long one. Because it takes a while to build this trust, it is crucial to ensure that what you produce and provide is consistent. By having a solid foundation that allows you to analyze your efforts clinically, you will also have the ability to course correct. The result: brand authority, great content, and a well functioning lead generation machine! Published on June 6, 2018 by Christoffer Sørensen; modified on July 22, 2018. Filed under: branding, content, conversion, marketing. Christoffer is the Founder and CEO of Virtual Visibility Media, an SEO and Inbound Marketing company, based in New York State. Having experience as an SEO professional, consultant, and writer, for campaigns covering 14 countries, he always look to further advice and insights on developments in the online sphere to a wide audience. You can follow his company on LinkedIn, Twitter, or Facebook.